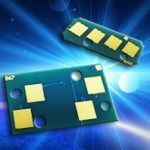 The company has announced the launch of new replacement chips for use with both Epson and HP devices. 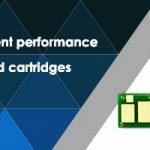 Among these new releases are new replacement chips for use in full colour sets of recycled cartridges designed to be compatible with HP PageWide Pro MFP 777z, HP PageWide Pro MFP772dn, HP Pagewide Pro 750dw, HP PageWide Color MFP 774dn/dns, HP PageWide Color MFP 779dn/dns, HP PageWide Color 755dn, and HP PageWide Mngd Clr MFP 795z+ devices. Apex explains that these new SOC-design replacement chips are only applicable in recycled cartridges, provide “consistent performance”, and cover Europe, North America, Asia Pacific and South America. 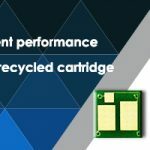 Apex has also released replacement chips for use in full colour sets of recycled cartridges designed for Epson Expression Home XP-5100/XP-5105 and Epson WorkForce WF-2860DWF/WF-2865DWF devices. 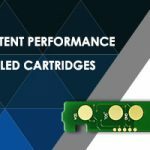 As Apex explains, in March 2018, Epson released a series of new printers XP-5100/WF-2860 series with cartridges 502/502XL series. This series of printers is stylish and compact, and is more cost-effective than previous generation printers. The new Expression Home XP-5100 will replace the Premium XP-540 series and the Home XP-442 series, which is functionally equivalent and less expensive than the Ecotank ET-3700. 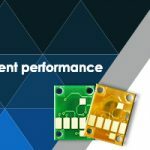 Apex says these new ASIC replacement chips offer “consistent performance”, are easy to install in recycled cartridges and cover nine regions and countries. For more information, go to www.apexmic.com.